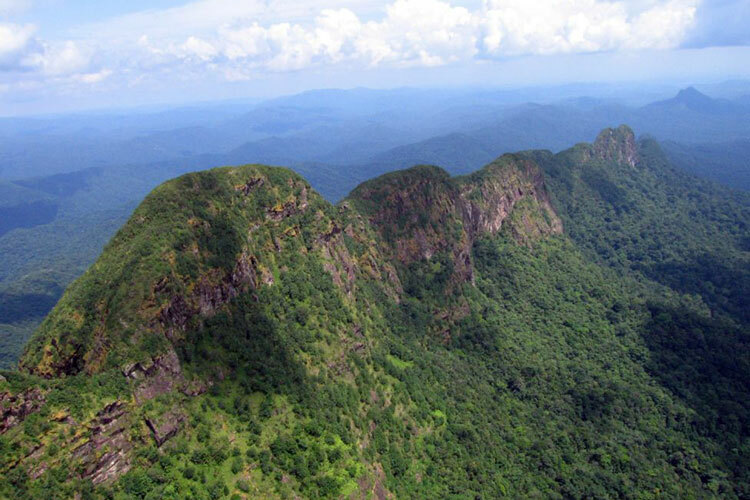 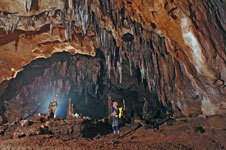 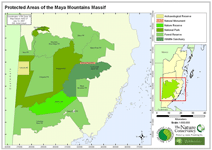 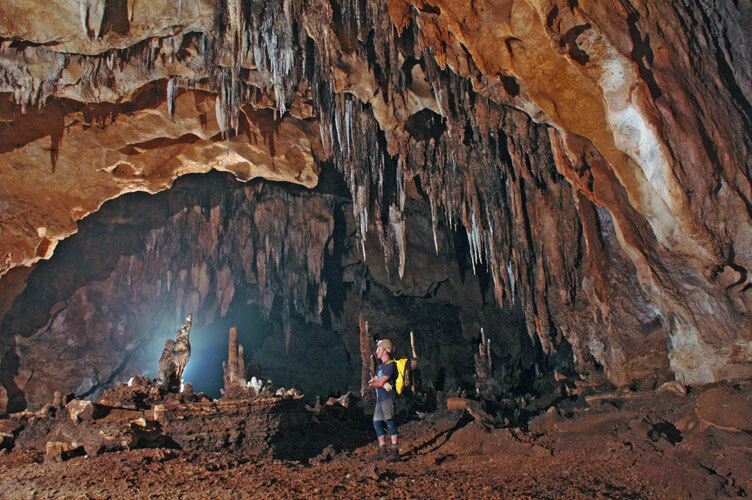 The Chiquibul/Maya Mountain Massif (CM3) is an approximately 1.25 million-acre area in southwestern Belize and is amongst the most intact tropical forests north of the Amazon. 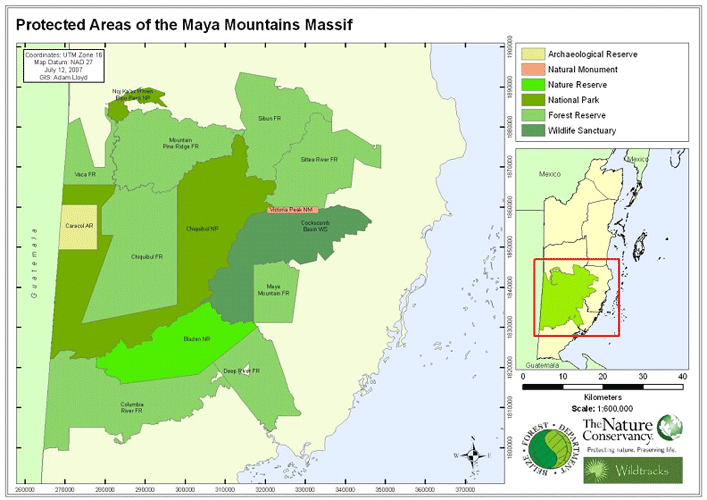 The CM3 has a variety of habitats that contributes to its valuable environmental services and high aesthetic value, but despite its protected area status, the CM3 is under increasing pressure from extraction of natural and cultural resources as a result of transboundary incursions on the western border and increased land-use changes from industrial activities that include agriculture, hydropower development, logging and mining. 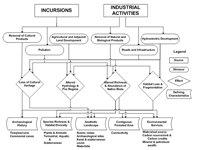 Conceptual ecological models (CEM) are effective planning tools for organizing existing information about natural systems for determining gaps in knowledge and research priorities, and for developing objectives and measures of success for management and monitoring programs. 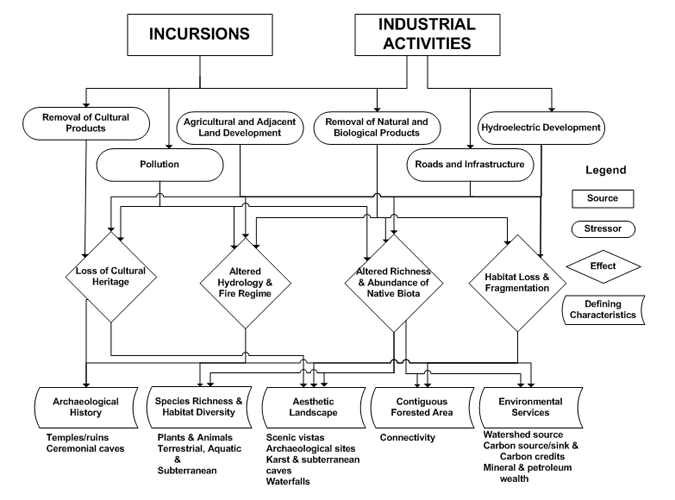 The CEM of the CM3 describes ecological relationships amongst major stressors and attributes of the system and presents performance measures to quantify potential change to attributes. 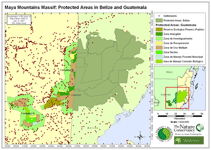 Attributes were derived from defining characteristics of the massif and chosen as valuable ecological and cultural components of the massif. 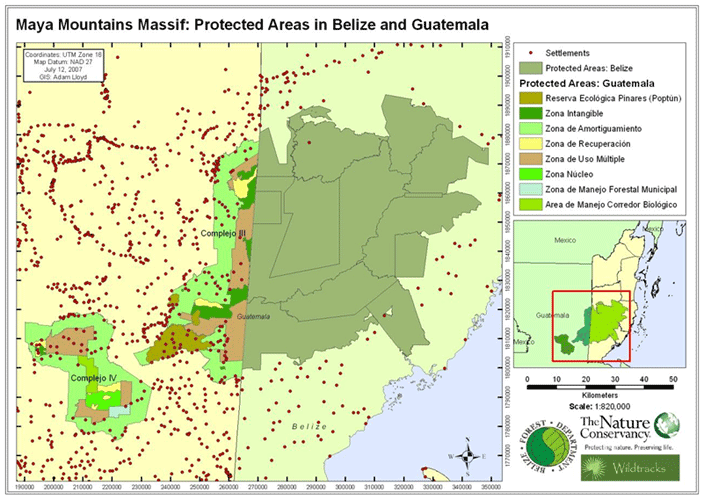 Ecological linkages between stressors and attributes highlight priorities for conservation, management and research that will ensure continued protection of the CM3.